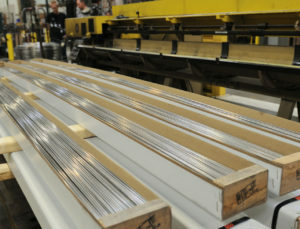 Our hot roll aluminum rod offers a consistent product for your manufacturing needs. Our engineers will work with you to deliver product to your specifications for your specific application. 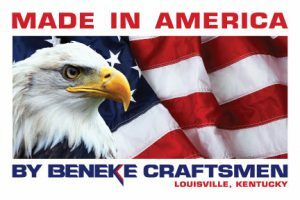 Our partnership with our upline supplier provides a consistent result with continuity of grain size and reduced seams. A lustrous finish especially applicable for cold heading. This oxide free surface greatly improves tool life and uniformity in metal flow while heading. Product has enhanced, shiny appearance and will anodize well. This oxide free surface has specific applications in products that are color anodized or bright dipped as a final operation. Adds a luster to the anodized part. Improves corrosion resistance. Clean, chrome-like finish comparable to stainless or chrome finish on steel; improves cosmetic appearance of aluminum wire. Specifically designed for those applications where surface imperfections must be minimized. Although technology is not present to provide a perfect surface, defects that are 1% of finished diameter are detected and removed with this process. A satiny white finish specifically used on heat treated cold heading wire and rod. This oxide free surface greatly improves uniformity in metal flow during heading, thus giving the added advantage needed when heading heat treated wire and rod. A bright, lustrous finish applicable only to heat treated wire. This oxide free surface is particularly useful in escomatic wire or any application where close tolerances in diameter are required. 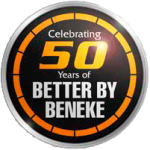 Improved corrosion resistance is one of many advantages. An oil free, clean, dry finish specifically for applications in which lubrication cannot be on the wire. All in process lubrication is cleaned from wire. 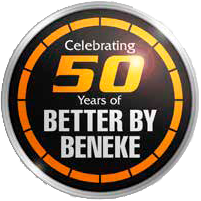 Beneke Wire Company produces aluminum alloy wire and rod as both coiled product and straight lengths. Our products are predominately utilized in the manufacturing of fabricated products. These products are generally cold headed into some useful shape. 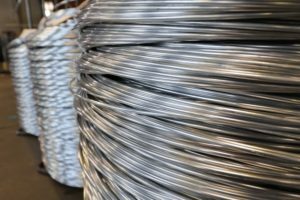 Under the Hazardous Communication Standard (29 CFR 1910.1200), this wire and rod is classified as an “article” and therefore does not need to be accompanied by a Safety Data Sheet nor does the product need labels. The solid metallic wire is not hazardous as shipped. Realizing that a few of our customers use a manufacturing process that has the potential to release fumes, dust, fines, or particles that might or might not accumulate, we feel that the material can be classified as hazardous under the same standard (29 CFR 1910.1200) and therefore have developed a Safety Data Sheet for those applications. Labels for these specific products are only needed because of downstream applications and are not required to be placed on the product of each shipment. We will provide a label to affix to product with your initial request. However per the Hazardous Communication Standard: “For solid materials that are not exempted as articles due to their downstream use, the required label may be transmitted to the customer at the time of the initial shipment, and need not be included with subsequent shipments to the employer unless the information changes.” The label may be transmitted with the shipment or with the Safety Data Sheet that is provided.